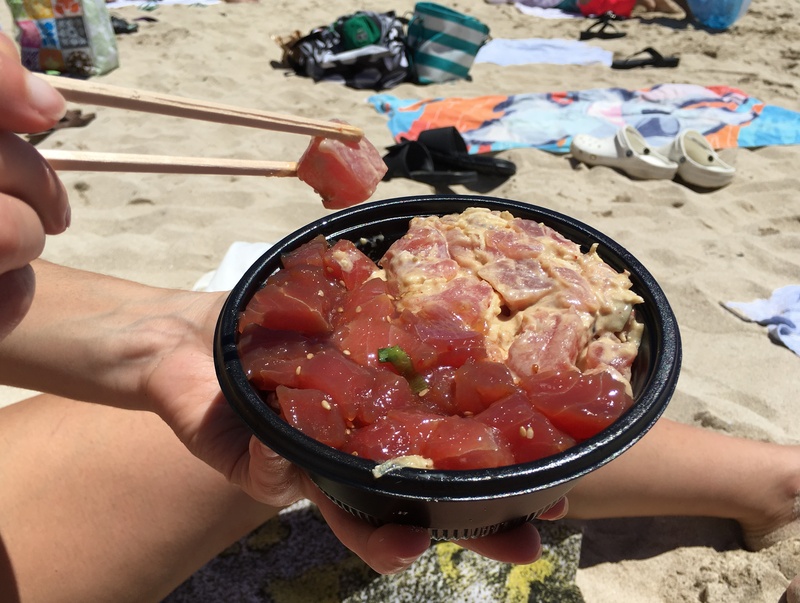 Poke on the beach is about as Hawaiian as you can get. ‘‘Let’s go to Hawaii!’’ exclaimed my excited bestie Katia. ‘‘Umm… really?’’ was my hesitant response. I travel to eat and apart from poke what’s exciting to eat in Hawaii I thought. ‘Just look at all these cool food tours….’ she continued. Well that got my attention. Food tours are one of my all-time favourite activities when travelling (and a key to being a good foodie). I was in. And Hawaii did not disappoint. Sure you can easily eat nothing but fast food the whole time (in fact you can do that anywhere). 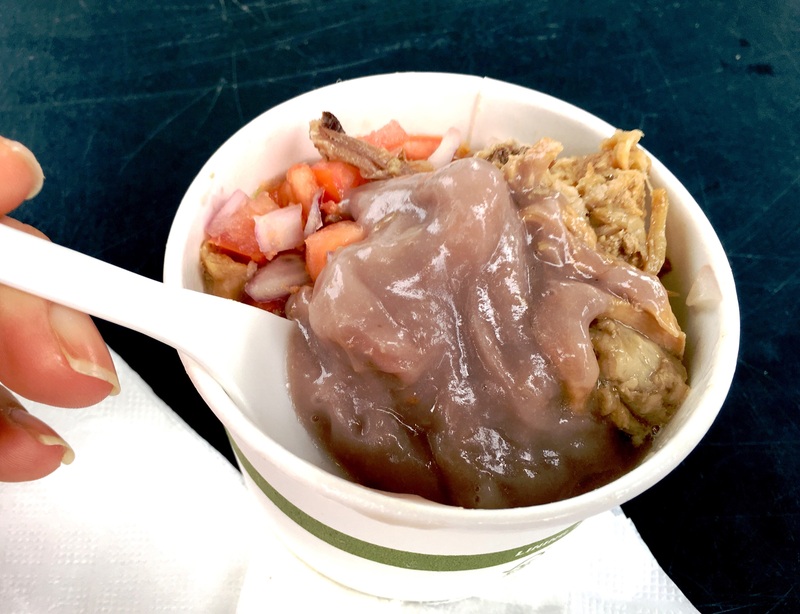 But with a little research and observation, there’s a treasure trove of foods that represent the indigenous Hawaiian traditions interlaced with all the other cultures that have impacted the remote islands since Western settlement including Portuguese, Japanese and Chinese. Here are 7 things you MUST track down. Firstly let’s get the pronunciation out of the way. It’s po-kay. Rhymes with ‘okay’. Poke has spread like wildfire through Sydney over the past few years. And if someone was to invent a dish that epitomised Australia then poke could well be it – fresh chunks of raw fish seasoned with salt, soy and dried seaweed, served on a bed of rice. Similar to ceviche but without the citrus. 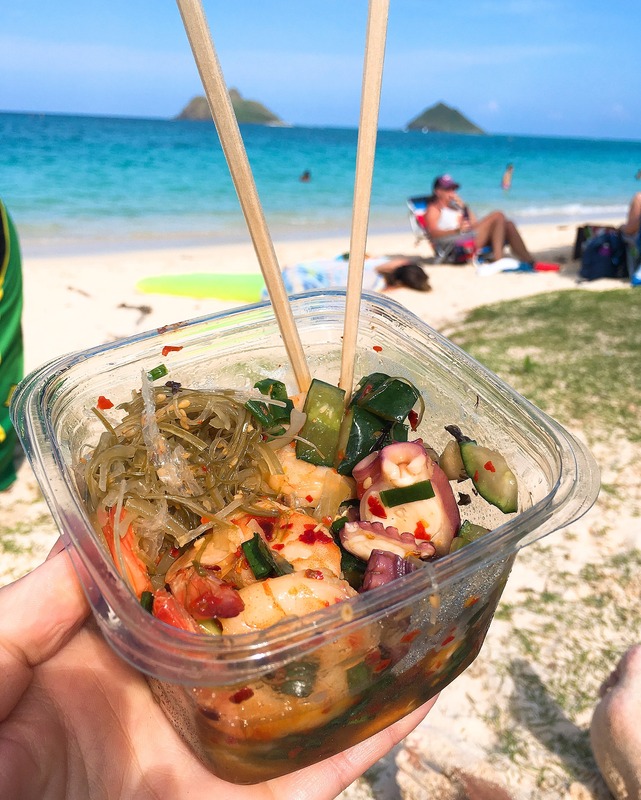 It’s the go-to beach meal in Hawaii for its sustenance and portability. You can buy it everywhere, from supermarkets to fine diners so in that way it’s quite a democratic dish. Ahi or tuna poke is the standard and I also threw in tako or octopus poke whenever I could find it. 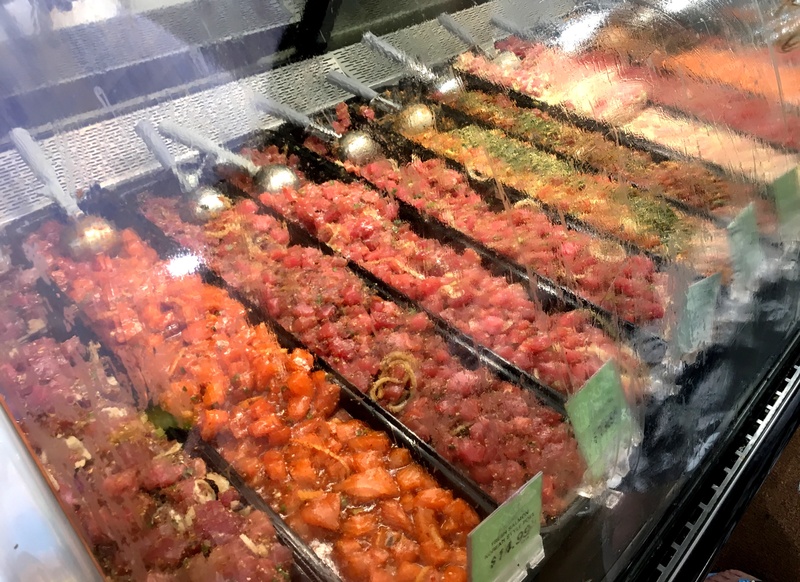 Look out for poke made with local fish rather than imported frozen fish. It’s more expensive but the taste is worth it. Spam, my new favourite food. Call me a snob but I truly never thought I’d be espousing the virtues of meat in a can, i.e. Spam. I remember my yiayia winning a can as part of a bingo prize when I was little and the can sat marooned in our pantry like a relic for what felt like ten years. I’m quite sure it was never opened. 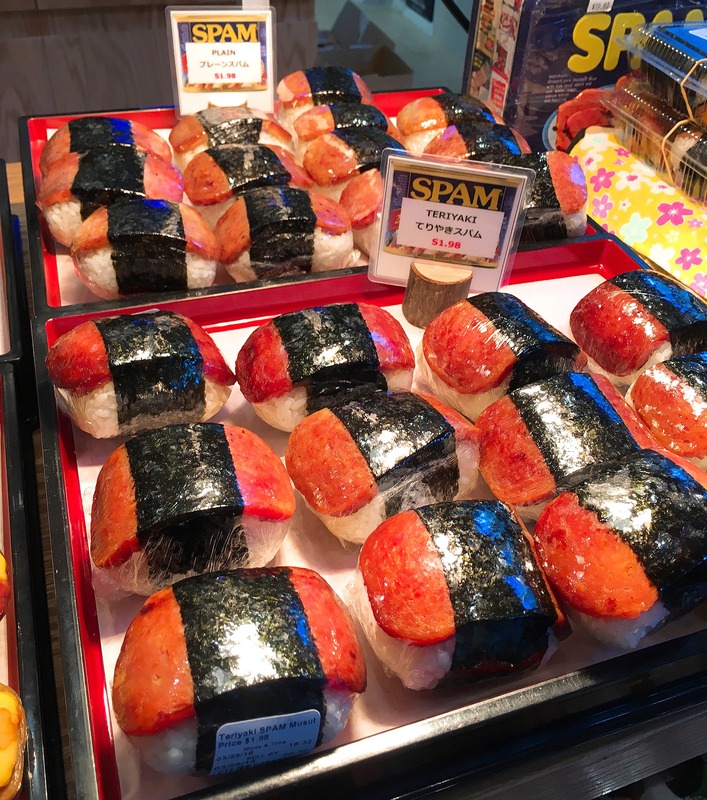 But I knew Spam in Hawaii was a thing, a hangover from the soldiers during WWII and I’m all about trying local things so I wasn’t going to miss this. Musubi is the perfect little package of Japanese-Hawaiian fusion. Thank god I didn’t because musubi (grilled Spam and rice wrapped in nori) turned out to be one of the most delicious things I ate. Especially with a slice of bacon and fried egg in the mix. 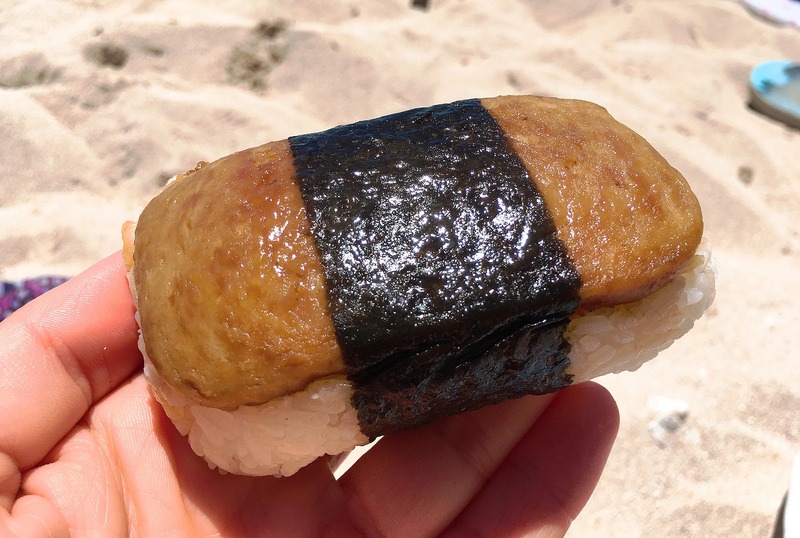 One musubi is also the perfect sized snack or breakfast on the go and sold as a true convenience food. I only wish someone was making it here. 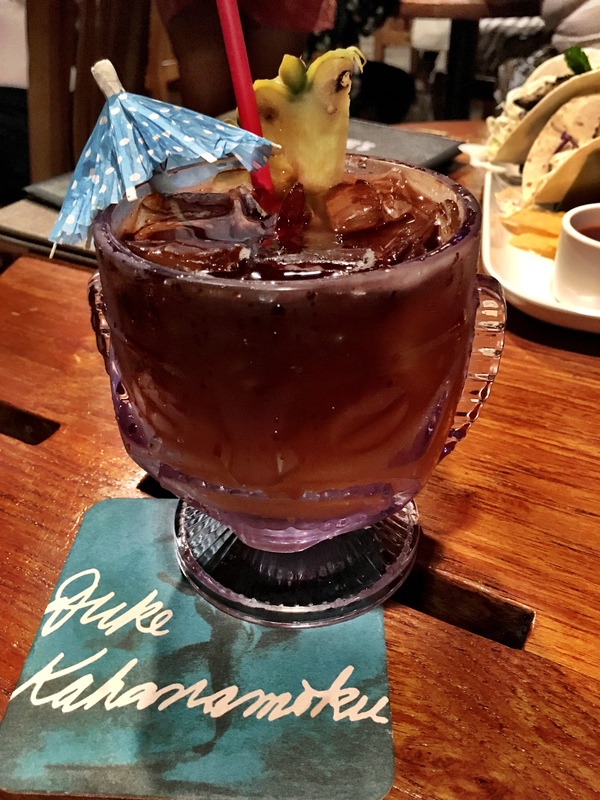 The mai tai at Duke’s was one of my favourites. 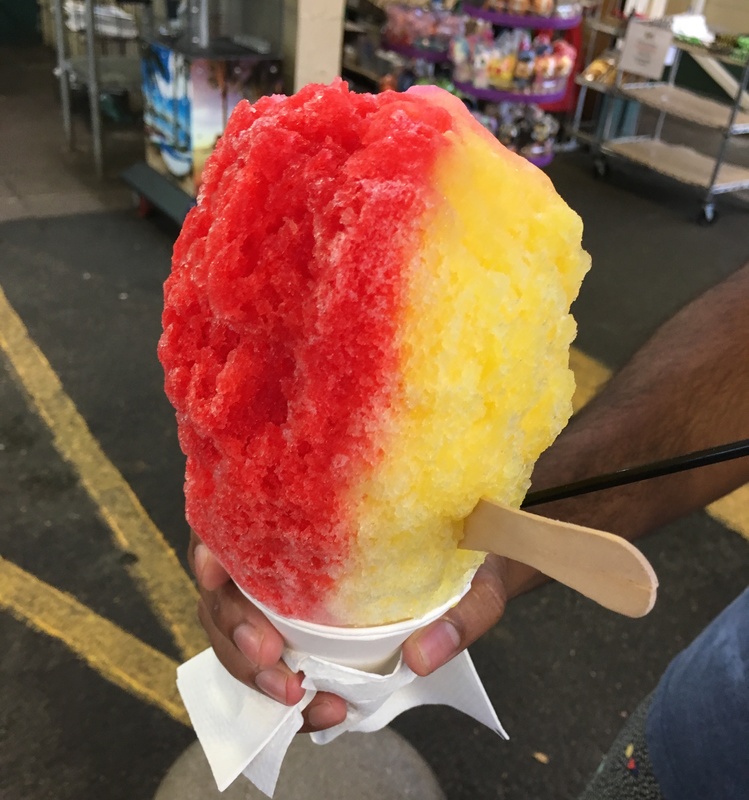 This is an obvious but critical inclusion in your Hawaiian diet. 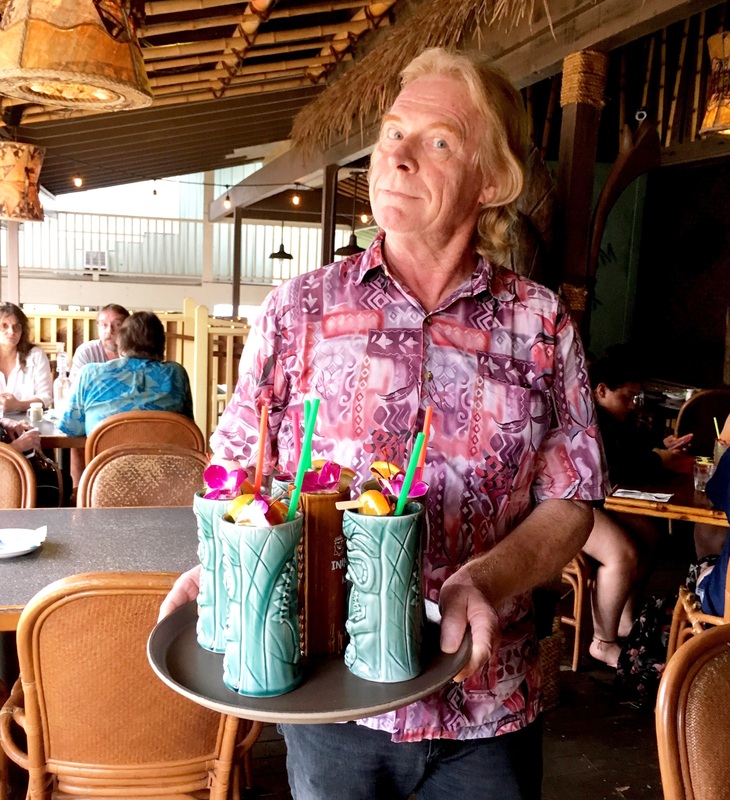 The tiki drinking culture, born from the American obsession with Polynesian culture in the 1930s, is perfectly at home in Hawaii and the mai tai is the poster child of the movement. King Zorro serving mai tais at Tiki Iniki. Meaning ‘good’ in Tahitian, you’ll find the mai tai anywhere and everywhere, always containing some combination of rum, fruit or orgeat (made from almonds, sugar and orange water) syrup, orange cucacao and fruit juice. And if you’re lucky it will come in a tiki mug like this beauty from Tiki Iniki and be served by King Zorro. 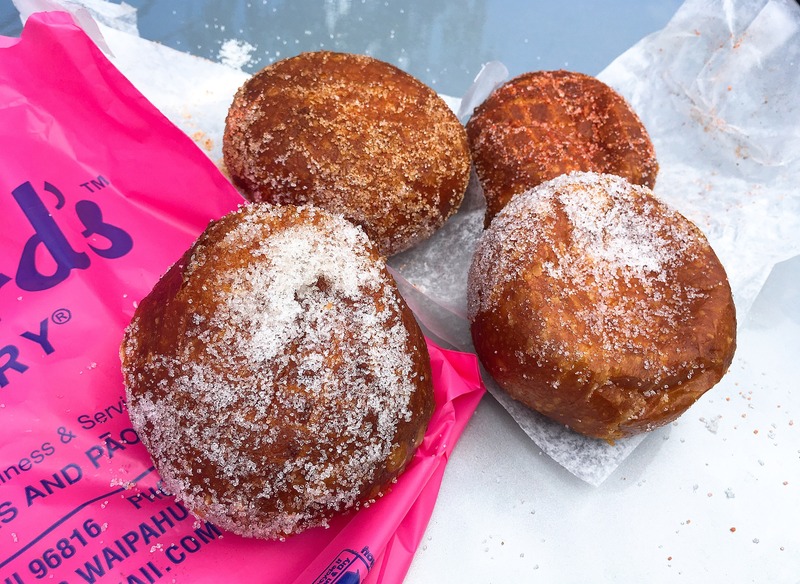 One malasada is rarely enough. You know something is kinda a big deal when from about 11am every day you see signs reading ‘Malasadas sold out’ in every bakery and food store on every Hawaiian island. 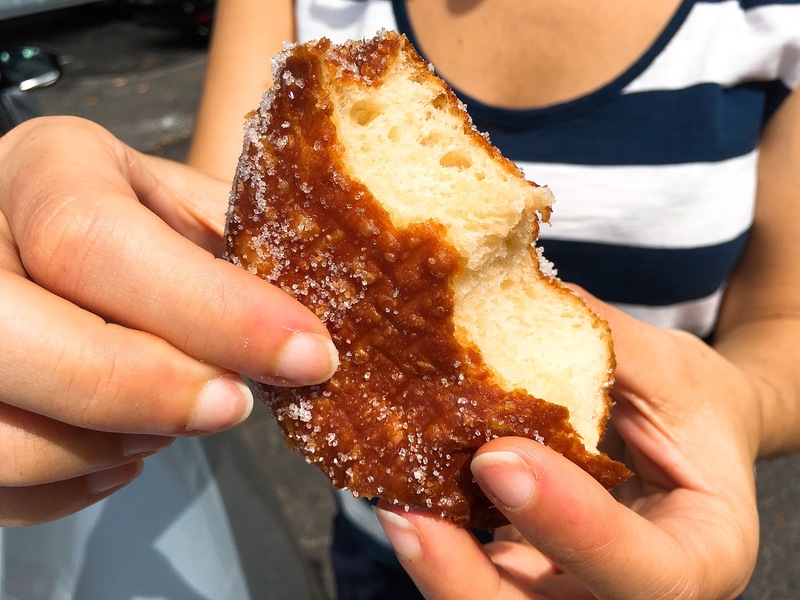 Most cultures have their version of fried dough and the Portuguese version based on a particularly eggy dough that’s fried and rolled in icing sugar is a particular winner. It’s remained a stalwart years after Portuguese immigrants came to the islands to work in the sugar industry. Freshly made malasadas – warm and delicious. Workers from the Portuguese island of Madeira were particularly coveted due to their experience in working with sugar cane. 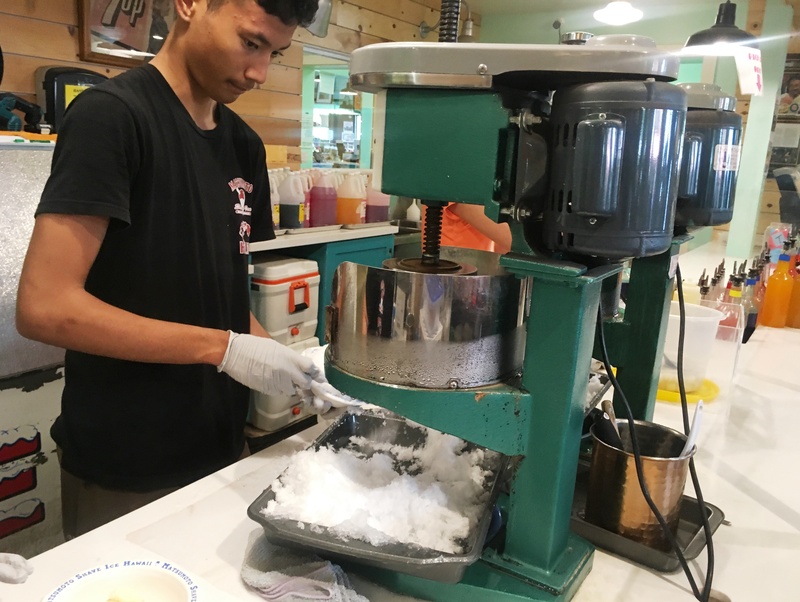 They brought their skills and the recipe for this donut and it’s become a signature Hawaiian sweet treat ever since. 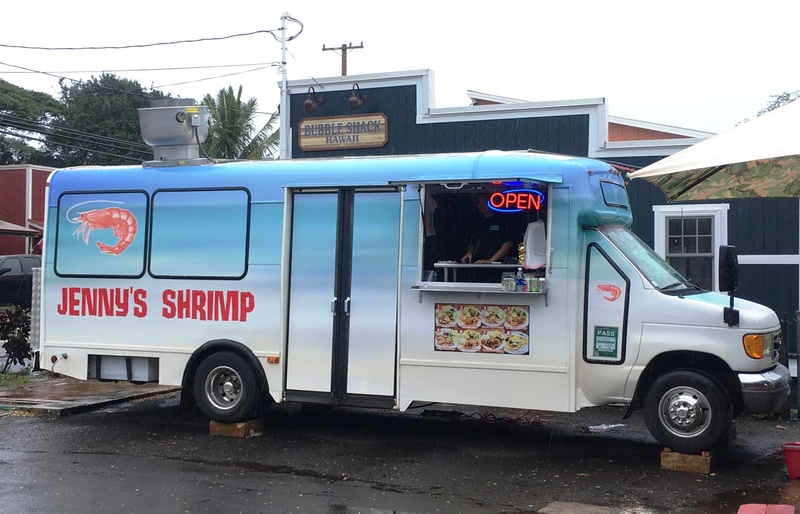 Couldn’t get enough of shrimp or food trucks in Hawaii. Garlic butter shrimp from a food truck. There is nothing about that sentence I don’t love. My last meal on earth would include barbequed seafood so this kind of dish really speaks to me. 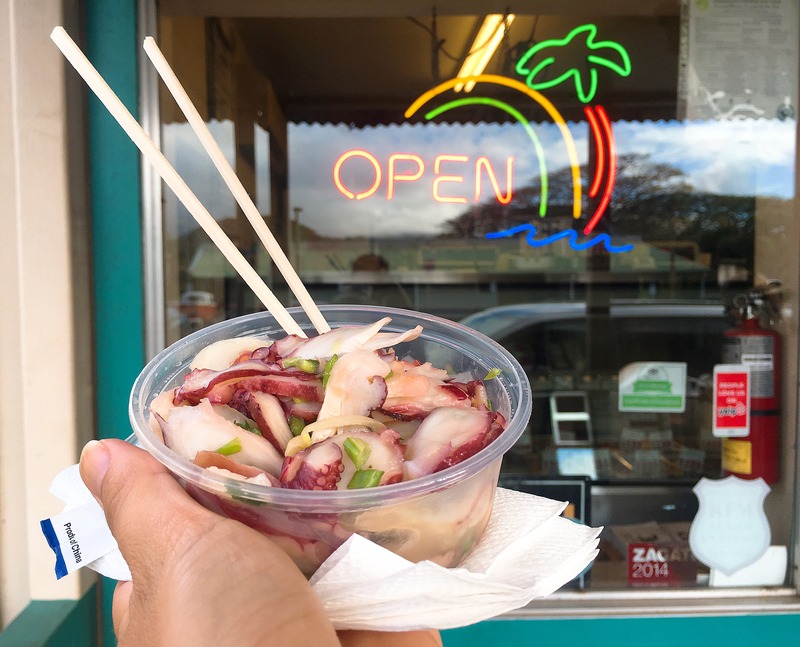 While there are more ‘famous’ food trucks on the North Shore of Oahu spruiking this magical dish, we went for an understated truck – Jenny’s – in Hale’iwa. Coconut shrimp on the left, garlic butter shrimp on the right. The garlic shrimp was peppered with pieces of caramelised garlic and left a pool of buttery sauce which was the perfect accompaniment to the two mounds of rice that are standard on any Hawaiian plate lunch. The other stand out dish was the coconut shrimp – delicious moist prawns in a crunchy and slightly sweet coconut coating. Possibly the best use of coconut in a savoury context I’ve ever encountered. 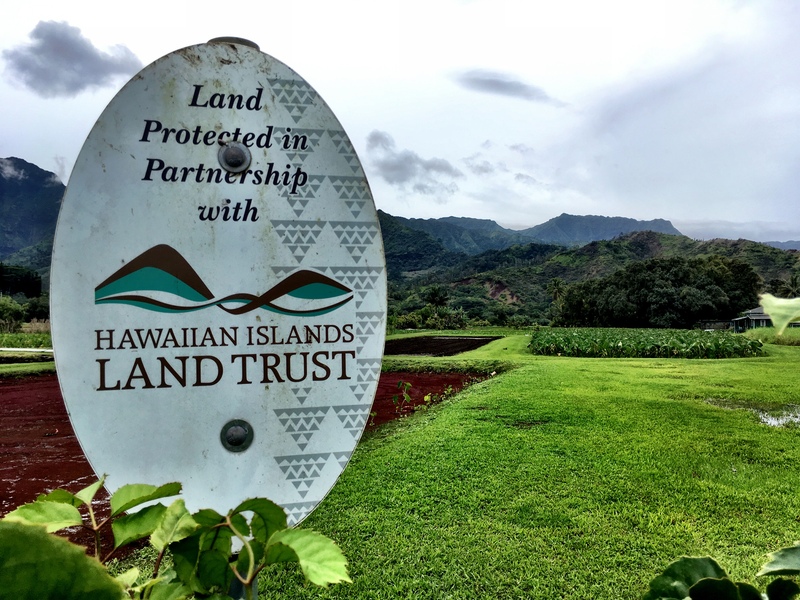 The taro plant is the single most important ingredient to the Hawaiians – akin to corn for the Mexicans or cassava for the Brazilians. It’s not only the cornerstone of the cuisine, it’s sacred to the Polynesian culture and one of the vital canoe plants brought to Hawaii 1,700 years ago by Polynesian explorers. It’s a super versatile starch that can be made into a seemingly endless array of sweet and savoury dishes. Oh and did I mention it’s purple? The most popular use of taro is for poi, where the taro root is pounded into a paste which I’d like to say is purple, but really crosses over into questionable shades of grey. Poi has the consistency of mashed potato with a slightly sour taste from the fermentation process it goes through. 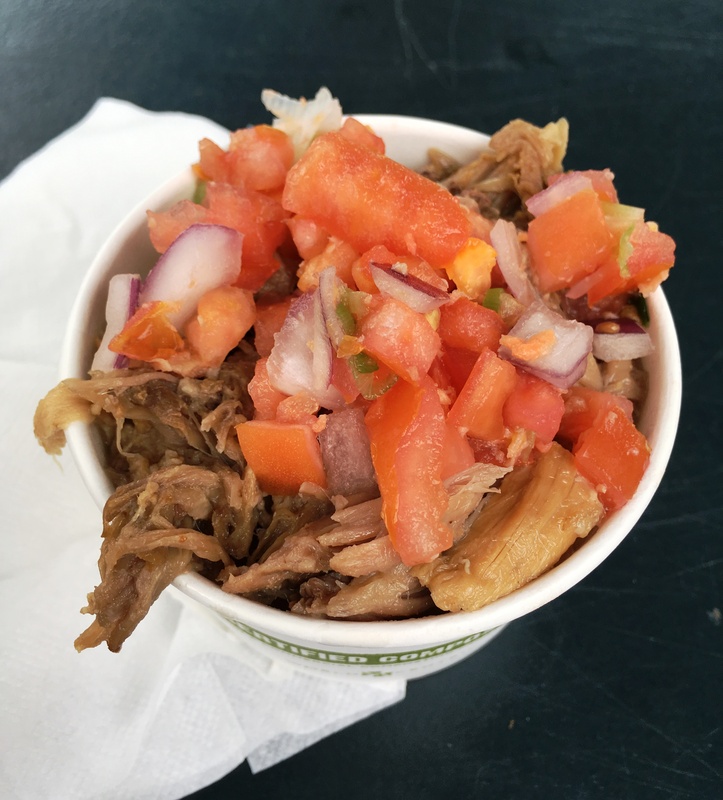 I tried poi in conjunction with the traditional dish of kalua pork (smoky slow cooked meat) and lomi salmon (diced raw salmon and tomatoes) and the flavours and textures all work perfectly together. My favourite version was from Hanalei Taro & Juice Co, an unassuming food truck introduced to us by Tasting Kauai. It took me a good week to stop ordering ‘shaved ice’, which seems to make so much more sense right? 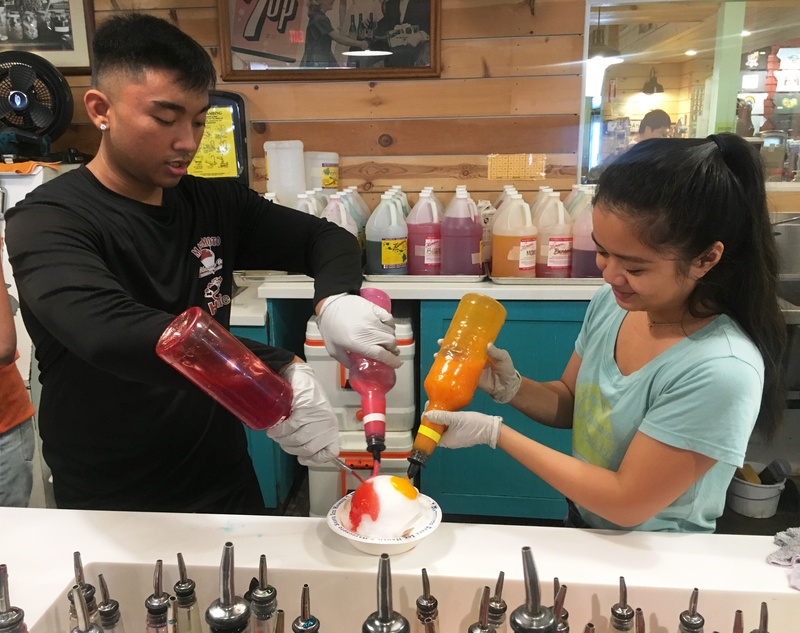 The art of flavouring ice is not specific to Hawaii and much like fried dough it’s something many countries have adopted (Italian granita, Malaysian ice kacang, etc). I was rather fascinated by the ice shaving machine and the light and fluffy product it produced. Watching the staff simultaneously pour brightly coloured syrups on top was (almost) as gratifying as watching a bartender mix me a pisco sour. I was always torn between choosing flavours that I knew would pop aesthetically versus flavours that would give my tastebuds more of a challenge. One of my faves in the end was li hing mui, a salty dried plum which had a more sophisticated flavour than the ubiquitous fruity flavours. Would you like condensed milk, mochi, ice cream and azuki beans with that? Hell yes. 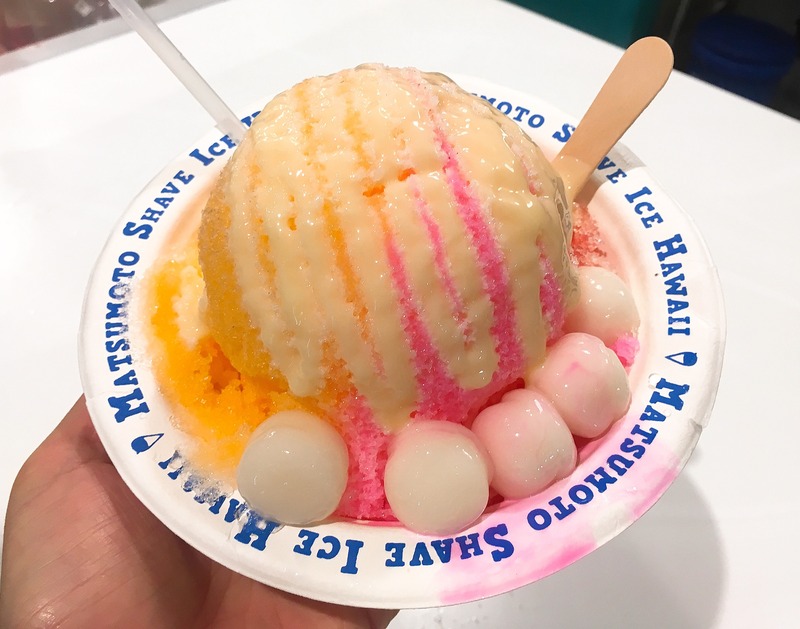 Have you tried something even tastier in Hawaii? Let me know! Love it! 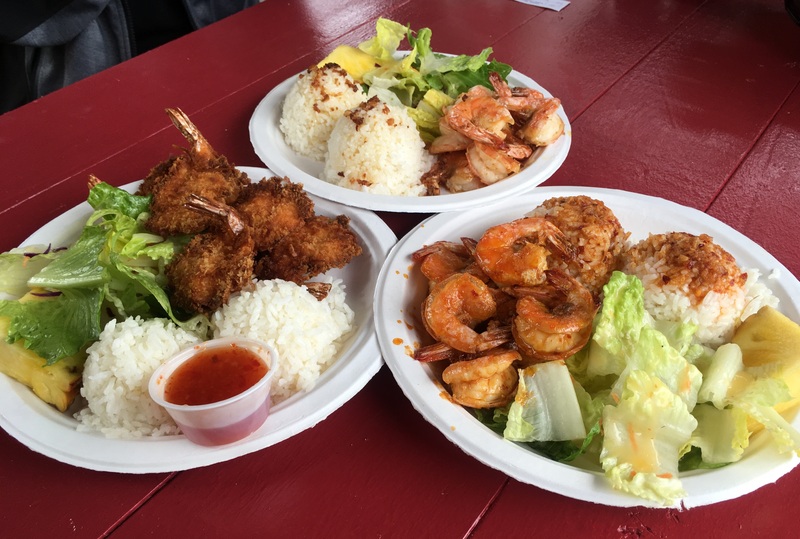 And love that you joined me on the hawaiian adventure – wish I ate more garlic shrimp though. Funny. I’ve only been to Hawaii once when I was five. All I remember is how much I disliked the food, but after reading your blog, I realize how much my tastes have changed, and how much I would totally grub on this. Poke and poke-flavored-ice-cream…hell yes!! Thanks TFF! Poke-flavoured ice cream? Now that’s a taste sensational I’d love to try!